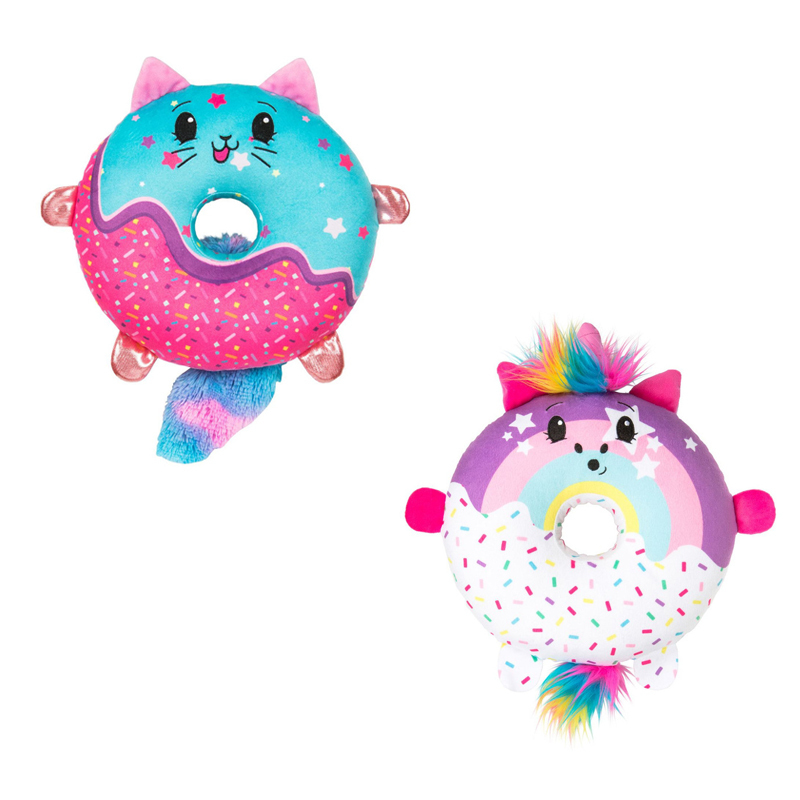 There are 4 sweet scented Large-sized DoughMis to collect: Sweetie Paws the Sparkly Cat, Rumbles the Fluffy Hedgehog, Achurro the Fuzzy Llama, and Rainbow Sprinkles the Magical Unicorn. Each of these super cute Large DoughMis are scented, soft, and cuddly! 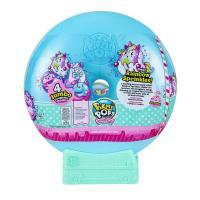 These cute DoughMis measure approximately 10" (ten inches) in diameter. 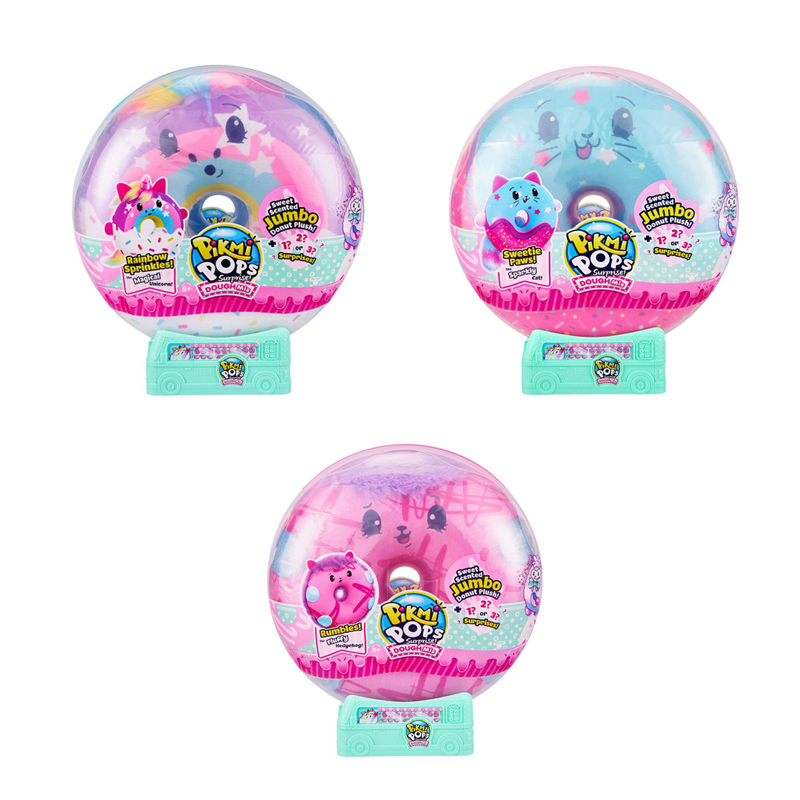 Collect the DoughMis range and create cute donut stacks made up of small, medium and Large DoughMis! Package may contain 1 or 2 bonus surprise items. Surprise items include: bag tags, rings, hair ties, erasers, charms, nesting donuts, note books, flocked stickers, and zip purses.